3M’s Ibrahim Tawfik on safety culture, the acquisition of Scott Safety, and how rowing helped shape his career. Hi Ibrahim! Just to get started, how about you share with our readers your position in 3M and how long you’ve been there? I’m Ibrahim Tawfik, Regional Division Manager for Personal Safety Division, and I have been with the company for more than 15 years. Fantastic. And how did you get to where you are now? 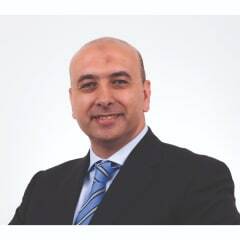 My journey started with 3M in Egypt in my home country, where I joined 3M Egypt in 2003 as Technical Sales Specialist for Communications Market Division. Since then, I've had increased responsibilities in the Energy and Electronics Business Group until I became the Country Business Leader for Energy and Electronics Business Group in 2007. In 2009, I moved to the Safety and Security Business Group as the Country Business Leader. Following this, in 2012 I moved to 3M Saudi Arabia to lead the Safety and Graphics Business Group. After five years of growing the business and the team in Saudi Arabia I moved to the UAE in early 2017 to lead the Personal Safety Division for the Gulf Region and there the journey is still continuing! Indeed it is! So from all your experience at 3M what do you think makes them stand out? The culture of innovation and business ethics are the most important things I see in 3M that makes us as a company very much differentiated in all aspects. Our customer first approach, the eagerness to serve our customers in better ways, with better products, makes us the preferred solution providers. How do you think the recent acquisition of Scott Safety has changed the 3M Safety Solutions offering? 3M acquired Scott Safety from Johnson Controls for a total enterprise value of $2 billion. Scott Safety is a premier manufacturer of innovative products, including self-contained breathing apparatus (SCBA) systems, gas and flame detection instruments, and other safety devices that complement 3M’s personal safety portfolio. This acquisition leverages 3M's fundamental strengths in technology, manufacturing, global capabilities and brand. The addition of Scott Safety’s well-regarded safety products, combined with 3M’s products, brands and global capabilities in personal protective equipment will provide a broader array of safety products and solutions, enhancing 3M’s relevance to customers worldwide. Let’s get into the specifics then – what innovative products can you highlight that health and safety managers should consider, and why? The RIT-Pak Fast Attack offers a small, lightweight, and compact solution for rapid entry and air replenishment. Developed with speed and efficiency in mind, the RIT-Pak Fast Attack provides an intuitive design enabling RIT teams to focus on locating and assessing the downed person. The RIT-Pak Fast Attack is offered in two different bag sizes – small and medium – and can be configured in both 4500 psi and 5500 psi, allowing fire and rescue departments to customise a solution to fit their specific needs. Incorporating high visibility orange material with reflective markings ensures the carrying bag can be seen in low visibility situations. Two colour-coded storage compartments and tactile feel pull handles offer easy identification of low-pressure and high-pressure components, while a fixed point carabiner on each end of the bag allows for easy attachment to the downed firefighter for emergency egress. That sounds great. And on a less tangible – but equally important – level of safety, what does 3M Gulf do to enhance the importance of the safety culture in the Middle East? 3M Gulf organises many activities for the end users locally and internationally. 3M Safety Days, customer safety training, and Hearing Conservation Campaigns are just a few to mention. The team also focuses on driving the new products to the market which helps our customers to be more efficient and safer at their workplaces. We also conduct free demonstrations using the Fall Protection Truck at customer sites to bring safety when working at heights. We also send out a technical newsletter to our technical team on a quarterly basis. What personal characteristics do you bring to your job that you think helps makes you good at what you do? I used to row as a professional for almost 10 years starting at high school, I developed characteristics which helped me along my business career and these are mainly: team work, persistence, patience and a never give up attitude. So finally, at the end of your working day, when you go home to relax, what do you most like to do to wind down? At the end of a long working day I really look forward to going back home to see my wife and two daughters, chatting with them and having an excellent and tasty homemade meal while watching a nice movie or a TV series together.